The flood warning continues for the Skokomish River although forecaster say “Hydrologically significant rainfall has come to an end over the south slopes of the Olympics.” The River will slowly recede today. 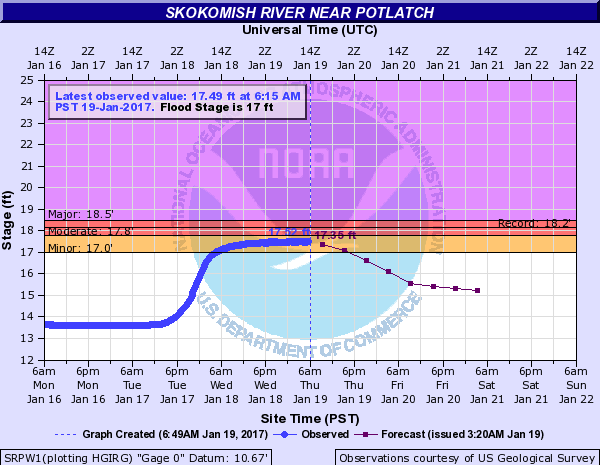 The Skokomish crested at 17.5 feet at 1 AM and is expected to fall below the 17.5-foot flood stage this evening. 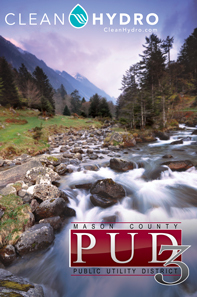 Minor flooding of pasture lands in the Skokomish Valley will continue. Skokomish Valley Road and West Bourgault Road remain closed to through traffic due to flooding.